Continuity mistake: Early in the show, at Cafe Nervosa, Roz comes in and Bebe asks her to get her some coffee. 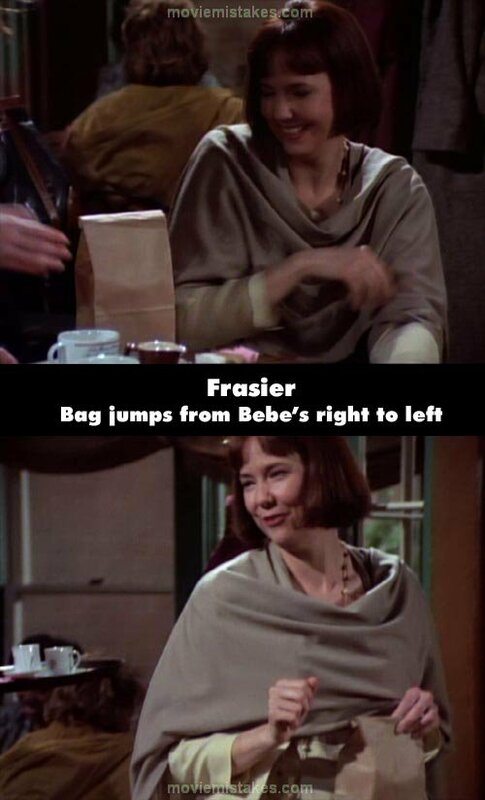 Roz returns with a paper bag which she puts down on Bebe's right. In the next shot Bebe stands up with it in her left hand, but there was not enough time for it to change from the right to the left naturally.